Paul and Julie live in the English midlands, not particularly close to the sea. But from the name of their band to the themes, sun-kissed vibes, and field sounds (or beach sounds?) in their songs, they seem to be living in a hut at the edge of the dunes. 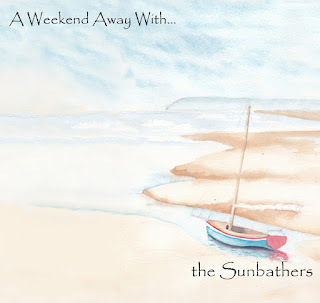 So we present to you, The Sunbathers, duo who will help you hold on to a bit more of summer as the leaves start to turn. 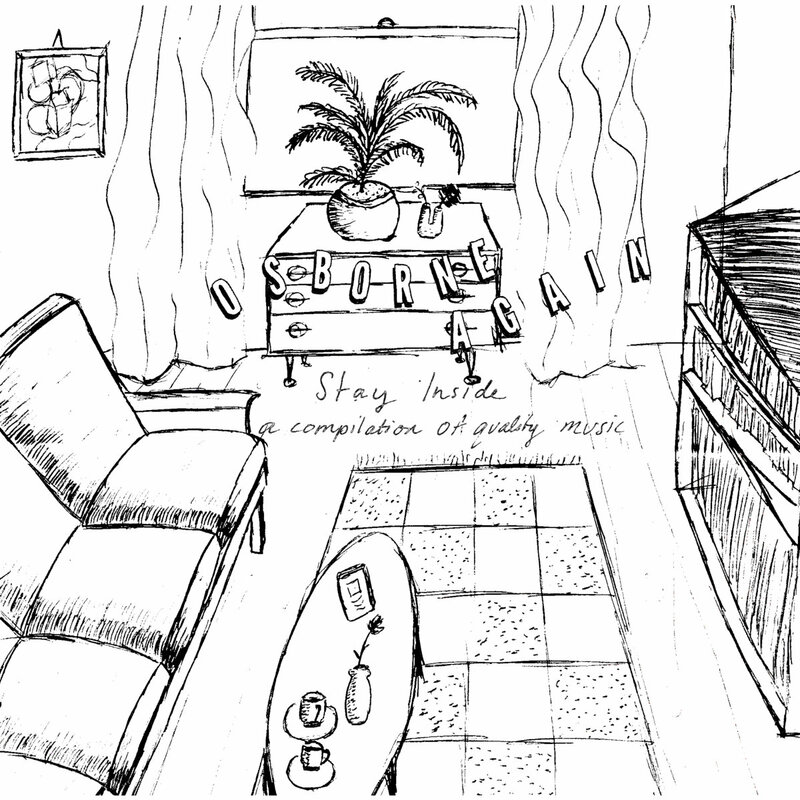 The band previously released shorter recordings with Dufflecoat and Cloudberry, but we now have their new full length album, A Weekend Away With ... . Characterized by gentle acoustic strumming, soothing melodies and Julie's sweet voice, and boasting a generous 15 tracks, it is the perfect accompaniment for your weekend--this weekend or any other for that matter. A Weekend Away With ... is out now in digital and CD formats with Jigsaw Records. See the Bandcamp link at the bottom of this post. Well, dammit, someone needs to save Friday and it might as well be Johnny Kills. The trio is one of our favorite current purveyors of exuberant garage rock. Their contribution to Friday's salvation is via "Seems", the new single for Killing Moon Records. Addressing the conflict presented when you receive good and bad news simultaneously (like us being happy its Friday at the same time we review the things we need to accomplish before we leave the office today), it is sure to supercharge your day. "Seems" is available at all the usual digital outlets. And say thank you to Tim Lloyd-Kinnings, Cameron Gipp, and Lewis Lloyd-Kinnings, aka Johnny Kills. 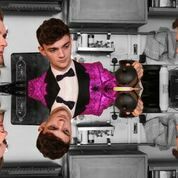 Now at the end of their teens, Louis Forster (vocals/guitar/bass/keys), James Harrison (guitar/bass/keys/vocals), and Riley Jones (vocals/percussion) have label deals in Australia and the UK, a second LP dropping this week, and another international tour. If that seems like a bumper crop of good fortune for the Australian trio known as The Goon Sax, we would like to opine that they have earned every bit of it via their own talent and hard work. Their first album displayed an innate feel for DIY guitar pop, but also revealed their talent for sharing the reality of the teenage moment with an awkward charm. A few years later, their renditions of life have broadened to reflect additional experiences and more nuanced perspectives, while still retaining a touch of vulnerability and wonder. 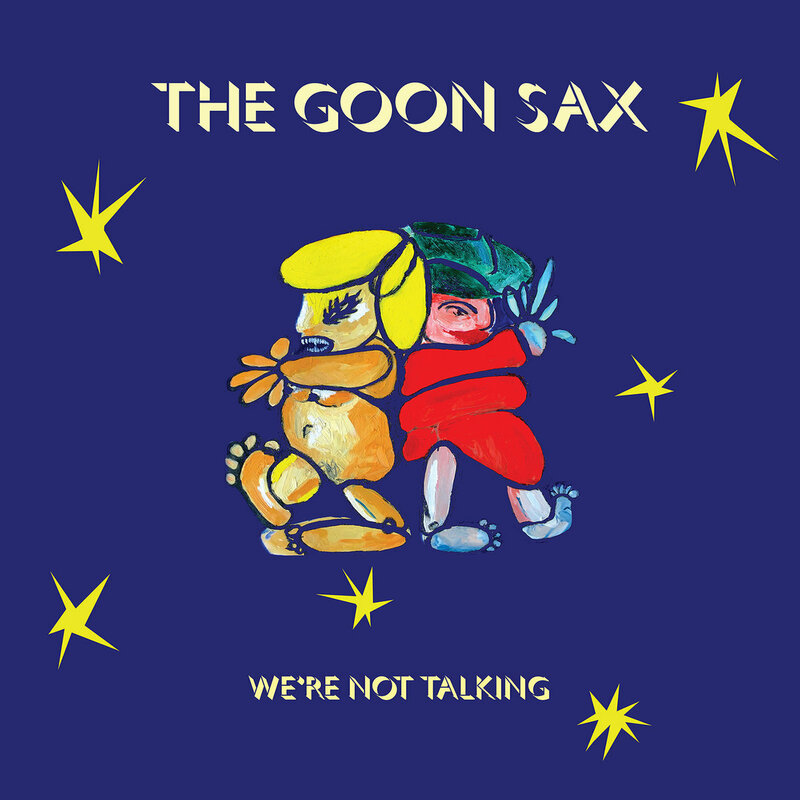 In addition to broadened emotional range, the growth of The Goon Sax can be attributed to the fact that all three members have emerged as songwriters and vocalists, adding both depth of perspective and variety in delivery. And, coupled with upbeat arrangements, their mix of bittersweet reflection, clear-eyed evaluation, warmth, self-depreciation, and sincerity make this band so special. They manage to seem both older than their chronological ages and younger than their current and incipient reputations would suggest, but none of that is an act. They are real, direct, and emerging as a very fine indie pop band. 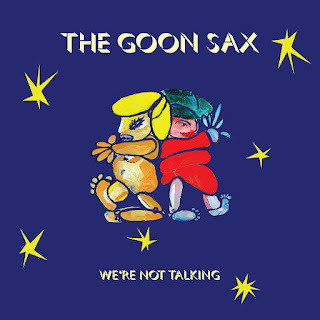 In addition to the three members of The Goon Sax, players on the album were Lizzie Welsh (violin), Biddy Connor (viola), and Madison Foley (trumpet). We're Not Talking is out September 14 in digital, CD and vinyl formats via Chapter Music in Australia and New Zealand and Wichita Recordings in the rest of the world. We began the day with a need to be moved by a piece of music, and found our inspiration in the epic seven plus minutes of "In Her Kingdom" by David Nance Group. Taken from the upcoming Peaced and Slightly Pulverized LP, out October 5 via Trouble In Mind Records, the song is a slow-building exploration of self-delusion. "Helios Heliadae" is our first glimpse of the October 19 Somewhere EP by Tears Run Rings, a multi-city band accomplishes much of their craftsmanship long-distance. The EP is the band's first recording since 2016's In Surges LP and will consist of four songs. The release will be available in vinyl and digital formats via Deep Space Recordings and Shelflife Records. We are here to make your life better, and in fulfilling our mission, today we will have a special digital 'unboxing' of Stay Inside. Of course, since the object of our attention is an indie pop album, and we only have it in digital form, there is no box to open. That actually doesn't disappoint us because a real internet unboxing requires video, and we probably could handle that technological challenge. So our unboxing of Stay Inside will be words and music streams only. The cynics may observe that this approach is identical to our usual features. They would be correct. 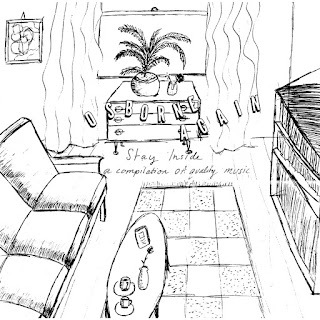 Stay Inside offers you 15 pop gems you probably have never heard, and many by artists with which you may be unfamiliar, as compiled by the astute tastemakers as Osborne Again. Sure, readers here know of The Ocean Party, Cool Sounds, Emma Russack and Lachlan Denton. But No Local, Skivvy, Tinks and many others may become new additions to your favorites list. A few of these songs, such as "Cactus Country" by Cool Sounds and "Drinking" by Lachlan Denton have featured on these pages recently, so we won't stream them here again. But you don't lose, because that means we can expose you to additional musical treats. And if you didn't pick up those songs earlier, you can erase your shame by getting them with this compilation. Who says life doesn't give you second chances? The album is available now as a digital download. See the Bandcamp link. Tuesday was starting a bit slow for us, and we desperately needed a helping hand. Our friends down the road in Portland, a trio known as Woolen Men, came to the rescue with Post -- nine tracks of well-crafted punk, taut post punk, and guitar pop that have given us the energy to do our jobs. If that seems to be a broad canvass, be assured that this is a band that can fully cover the spectrum. The rhythms section is sprightly and steady, and the band fully fleshes out every song as if it were the lead single. This is the band's fifth album, and in our opinion it is their most accessible and satisfying yet. 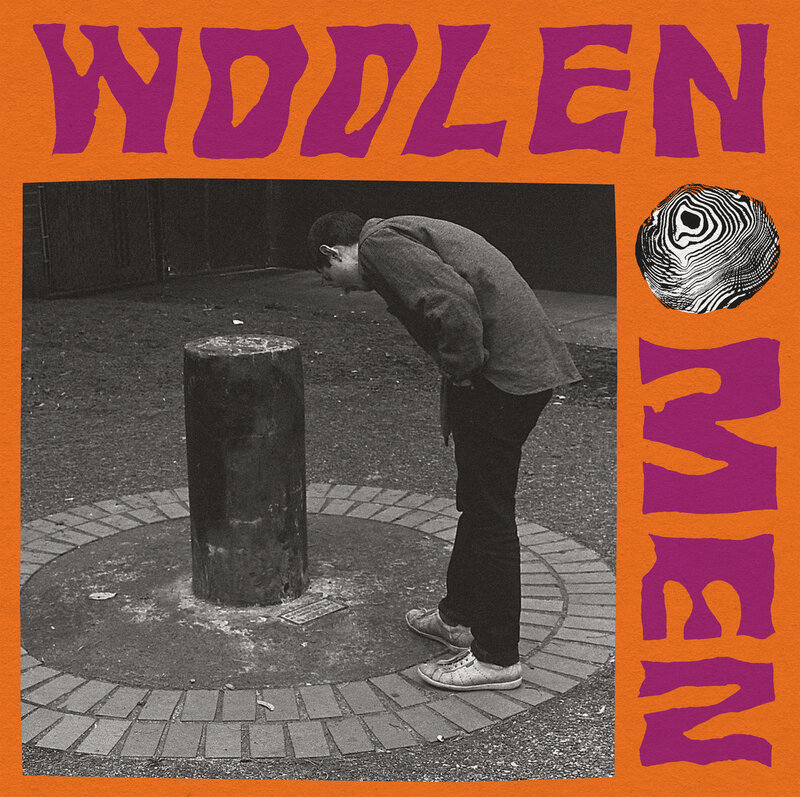 So our thanks to Woolen Men for rescuing our Tuesday morning. Woolen Men are Raf Spielman (drums), Alex Geddes (bass), and Lawton Browning (guitar). Post is out now in digital and vinyl formats via Dogs Table (see the Bandcamp link below). Melbourne pop romantic Gregor has shared another single from his upcoming album, Silver Drop. "This Heat" has a funky, rhythmic groove and is a good soundtrack for the start of the week. Like all musical things Gregor, the single is available via Chapter Music. Silver Drop will be released October 6. Bandcamp to order single "This Heat"
We just realized that we missed alerting you to the August release from Hamburg, Germany's fuzz pop studio project The Catherines. Support Heiko and Sandra, and they will keep thrilling us. Sounds like a good deal to us.